As hotly contested races across the state and nation reached a finish line Tuesday night, the scene in West Linn was unusually quiet. There were, after all, just two people running for two open City Council seats, and the two local ballot measures were hardly controversial. 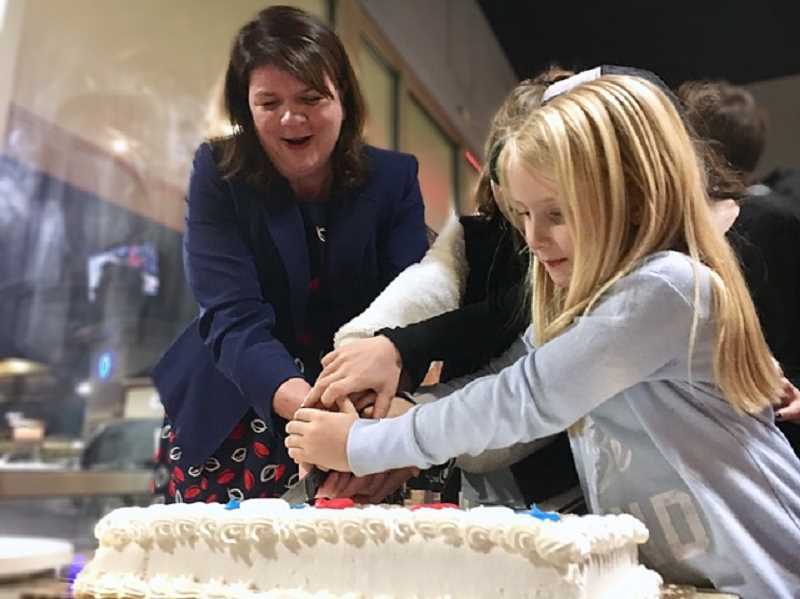 Even Julie Parrish, the representative for House District 37 and a West Linn resident, watched the returns come in at a restaurant in Wilsonville with two fellow Republican candidates. When initial returns were released by Clackamas County at 8 p.m., Jules Walters and William Relyea were obviously in the lead for the two council seats, while the ballot measures were each passing with more than 80 percent of the vote. With 12,116 votes counted, Walters had 6,635 votes while Relyea earned 5,481 (voters were told to vote for two candidates). Meanwhile, Measures 3-543 and 3-544 were passing 84-16 and 83-17 respectively. The measures referred to neighboring park properties on 5300 River Street and 5350 River Street, respectively. The parcels are more commonly known as West Bridge Park and the McLean House and Park. Voters were being asked to allow the Oregon Department of Transportation (ODOT) to access segments of those parks for construction access, staging and activity during a future I-205 Widening and Seismic Improvements project. The project would add a third lane on I-205 between Stafford Road and Oregon 99E, including the Abernethy Bridge (which would also be retrofitted to improve its seismic stability). Given the properties' location adjacent to the bridge, access would be required to complete the work. The West Linn City Charter requires voters to approve the use of any city-owned park or open space for a "non-authorized use" like construction when the work isn't directly related to the spaces in question. The City has long targeted West Bridge Park — a narrow and undeveloped 4-acre swath along the river under the Abernethy Bridge columns — for new recreational greenspace additions. The wait on that project will likely extend through the completion of ODOT's widening project. And therein lies the unknown: ODOT's project — projected to cost $460 million — remains unfunded and it is unclear when construction might actually begin. If and when construction does happen, some of ODOT's access points will likely stay in place even after the project is completed. A similar vote took place in November 2017, when West Linn asked residents to approve segments of four parks or open spaces during upcoming construction of Highway 43 improvements. Each of the four measures passed with at least 80 percent in favor.